Hello everyone, its only 17 days until Christmas and today I got my Christmas jumper, oh yeah! 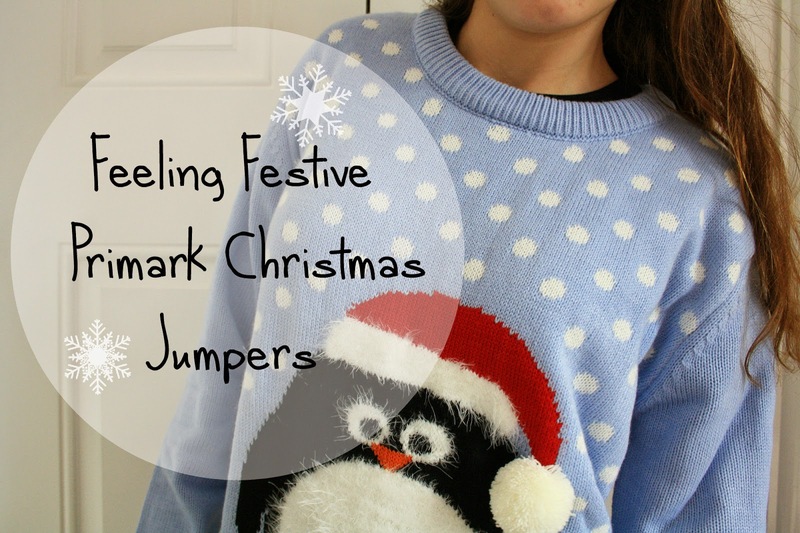 The reason I am writing specifically about this, is because Primark are giving £2 to ‘Make A Wish’ when you buy one of their Christmas jumpers. I believe this is going on from 6th-12th December. There are so many to choose from, and they are actually quite tasteful for Christmas jumpers. As you can see I got the penguin one! Its SO cosy, soft and warm. The penguin is so cute. If you don’t know what Make A Wish foundation is, its a charity that ‘grant wishes’ for children with life threatening illnesses. I think its great that £2 goes towards this charity, its a great cause. The jumpers aren’t that pricey either, so I’d go and buy yourself one quick before they’re all gone! Have you got your Christmas jumper yet? Thanks for reading buys, expect many more festive posts on the build up too Christmas!